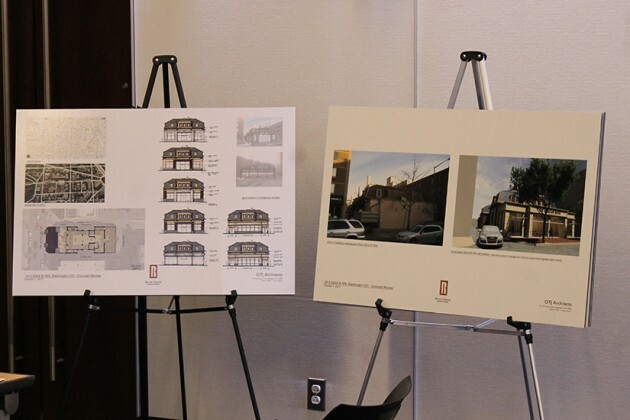 A plan to redevelop the building that holds Logan Circle’s Barrel House Liquor landmark has garnered early support from a panel of Logan Circle community members. 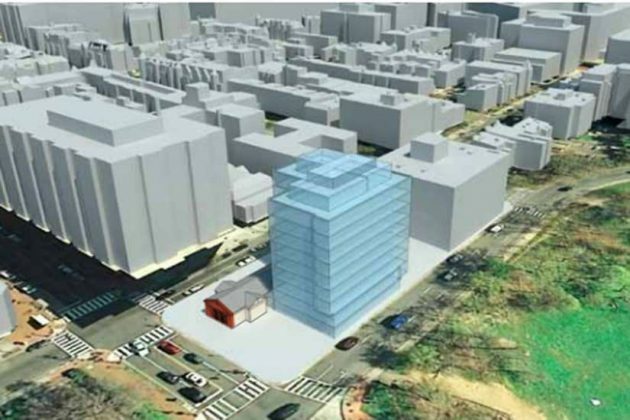 A development subcommittee of the neighborhood’s ANC 2F met last night to discuss a plan to turn the building at 1341 14th St. NW into a seven-story mixed-use development. 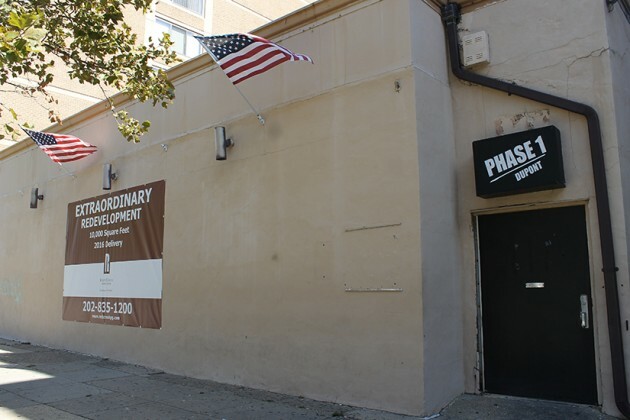 According to the plans, the new development would repurpose the building’s concrete barrel facade, which was boarded up after longtime tenant Barrel House Liquors moved next door last year. 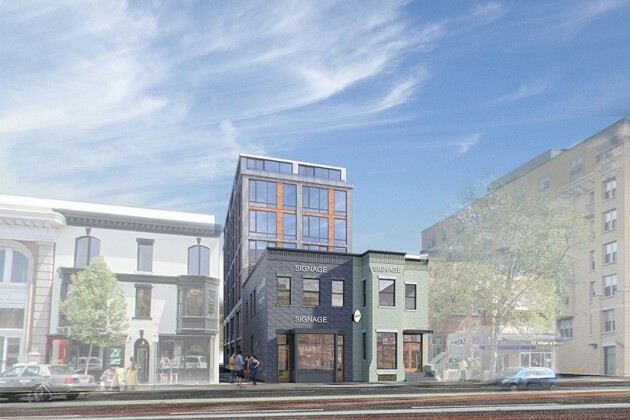 As proposed, the redeveloped building would contain retail space, more than three dozen residential units and have entrances on both 14th Street and Rhode Island Ave. NW. The new and renovated building will total 33,300 GSF above grade with a 3,250 GSF cellar under the eastern portion of the building. The ground floor will contain 2,720 GSF of retail, a residential lobby and four parking spaces. Floors 2-7 will contain 37 residential units. There will also be one residential unit, a small amenity terrace for the building residents, and screened mechanical equipment at the penthouse level. Though the ANC’s committee was generally supportive of the idea, a small group of community members shared apprehension about the height and shape of the building. 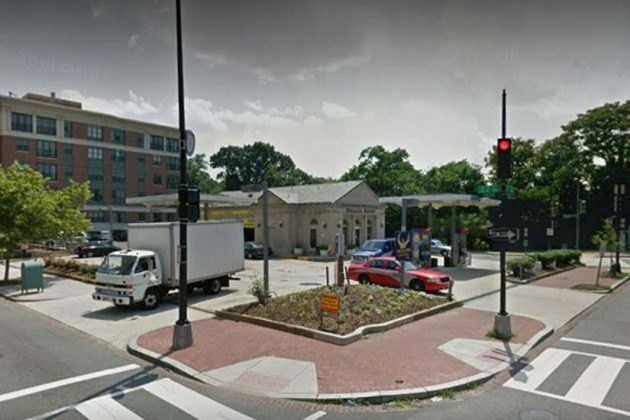 “If you’re standing on Rhode Island Avenue… and then you have an 85- to 90-foot building, we’re very concerned about the mass and the size of the building,” said Greg Parks, who lives nearby. Parks, along with four other community members, said they’d like the project delayed slightly to further discuss the design. But Parks stressed they weren’t totally in opposition to the plan. “We support the development and concept but we do have some concerns,” Parks said. Ultimately, the subcommittee voted unanimously to recommend that the ANC write a letter of support to the Historic Preservation Review Board. If ANC 2F during its general meeting next Wednesday votes to follow that recommendation, the matter will likely then move to the HPRB for further consideration. 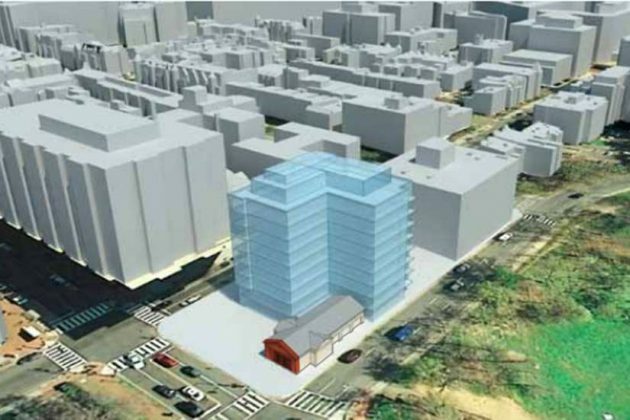 A plan to build a nine-story development at the site of a historic landmark in Dupont has drawn some criticism from D.C.’s Historic Preservation Office (HPO). Developer Marx Realty seeks to redevelop a lot at 2200 P St. NW in order to build a new nine-story mixed-use development. The lot currently holds a Sunoco gas station that has a historic limestone building known as the Embassy Gulf Service Station, which would be moved and restored under the developer’s plan. The proposed redevelopment would also include two stories of underground parking, the plans show. 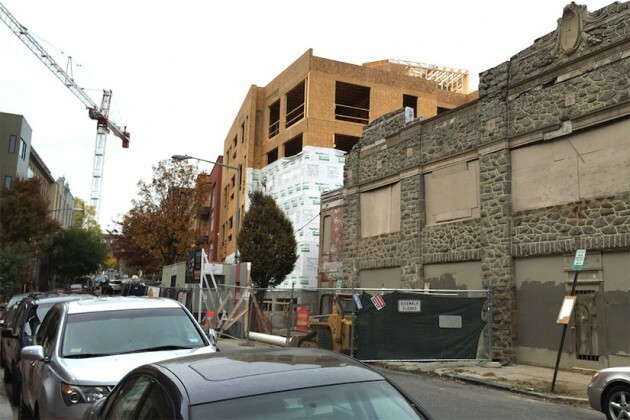 U Street community leaders are asking a group of developers to get moving on a plan to redevelop the former Grimke School building and surrounding area. 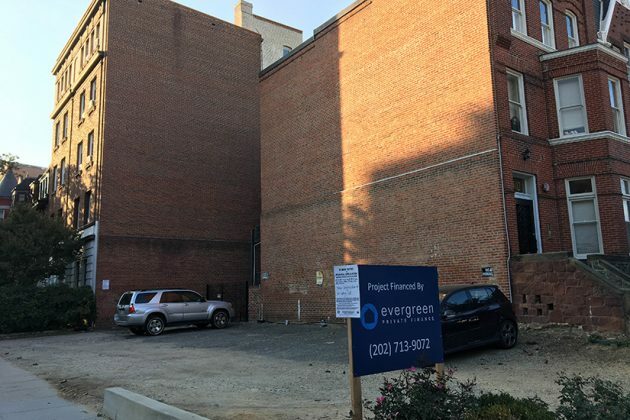 ANC 1B last Thursday passed a resolution urging the developers to move forward on the redevelopment of the properties at 1923 Vermont Ave. and 912 U St. NW by Dec. 1. Under the developers’ plan — first awarded about two years ago — two parcels of land containing the historic school and the African American Civil War Museum would be redeveloped for residential and retail use. The project would also include offices for local dance studio Step Afrika and approximately 10,000 square feet devoted to new African American Civil War Museum facilities. But in the time since the project was awarded, little has happened with it. Now, members of of the local community are getting cold feet, the ANC’s members said. According to the resolution, the developer has until Dec. 1 to execute a deal related to redeveloping the site. If that deadline isn’t met, the ANC will ask the District’s general counsel or attorney general to “aggressively pursue legal remedy, fines, and penalties” and seek to bar some of the project’s developers from participating in D.C. Government sponsored real estate projects for years to come. 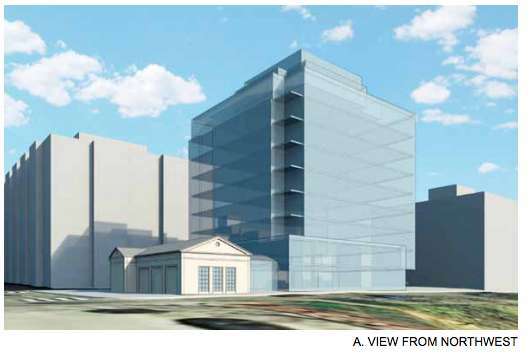 The ANC would also seek to “reissue an accelerated RFP for a new developer for the Grimke Redevelopment that retains the proposed tenants” if the deadline isn’t met. Though the ANC doesn’t have the authority to enforce those demands, it can “definitely shed some light on what’s happened here,” Hudson noted. “We want to work with you to keep the Grimke School used,” Turner added. 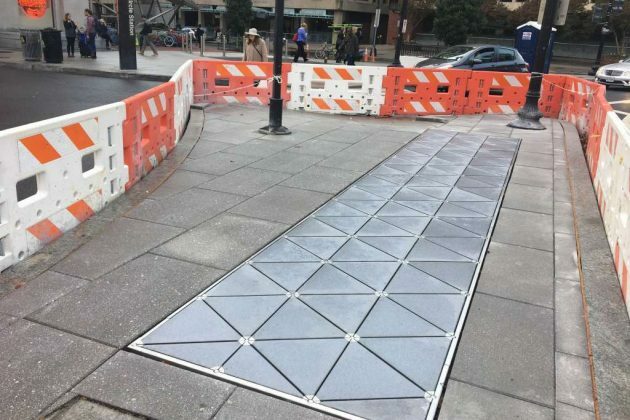 New kinetic tiles may soon generate extra electricity on the sidewalk just south of Dupont Circle. Construction crews appear to be putting the finishing touches on a row of special “kinetic paver” tiles that generate electricity as people walk on them. 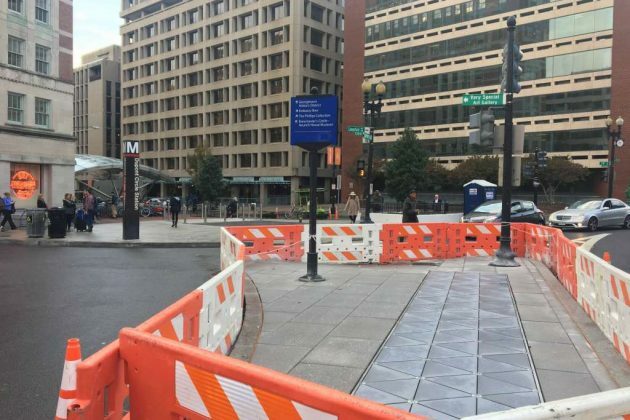 The panels sit along a busy sidewalk where Connecticut Avenue meets Dupont Circle NW, steps away from the Dupont Metro station’s south entrance. As reported by the Washington Business Journal, the panels, which are made by green energy company Pavegen, generate electricity via kinetic energy, then send that power to batteries for storage and later use. It wasn’t immediately clear when the pavers would start generating power. A representative for DDOT didn’t give a timeline for the completion of the project. (Updated at 10:43 a.m.) A local developer has plans to demolish an eight-story office building in Dupont and build something new in its place. 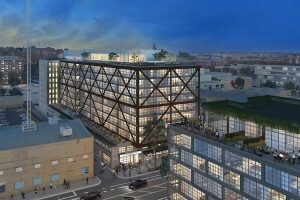 JBG has applied for a permit to raze its property at 1920 N St. NW, according to the District’s Department of Consumer and Regulatory Affairs. 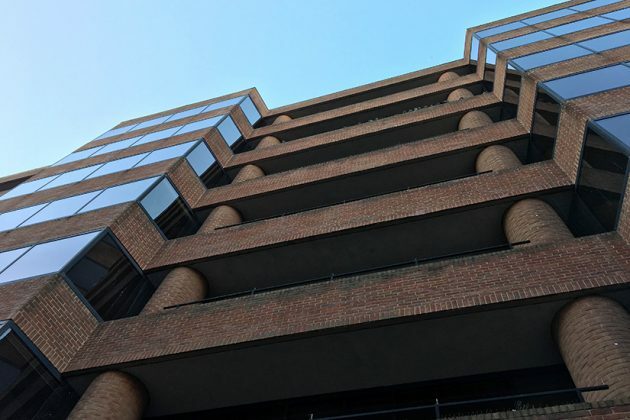 The 114,000-square-foot office building was built in 1981 and sits roughly one block from the Dupont Circle Metro station. The planned development would span 11 stories and feature “floor-to-ceiling glass,” a top-floor conference center, a fitness center for tenants and underground parking, among other amenities, according to JBG. It’s unclear exactly when the demolition would take place, and a representative for JBG said there isn’t yet a definitive timeline for construction. 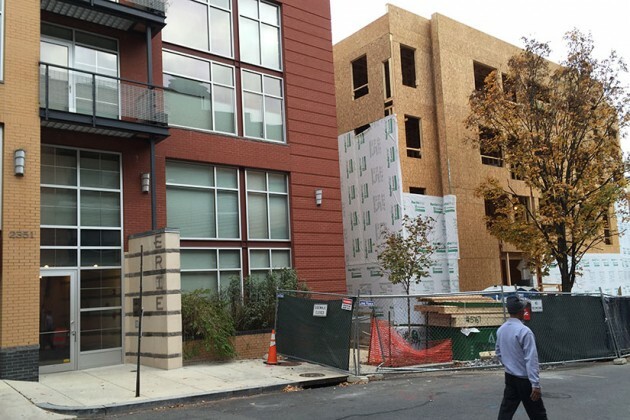 A new residential building could soon occupy a currently empty lot on 17th St. NW in Dupont. 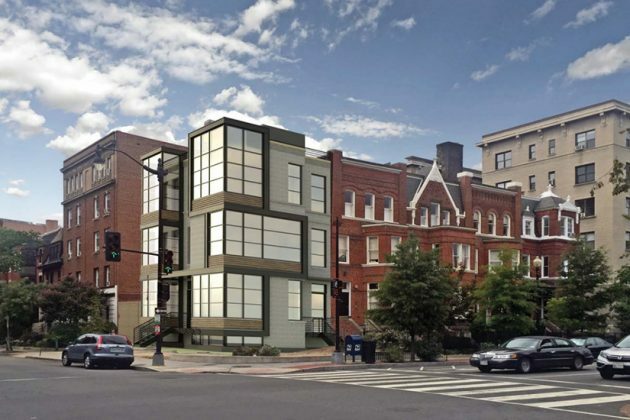 Developer CAS Riegler seeks to build a a new three-story building on the vacant lot at 1500 17th St. NW, according to plans shared with Borderstan. The building would hold two residential units and include a penthouse and basement, the plans show. “The project as proposed feels somewhat out of place and has a very sharp — almost jarring — contrast into its historic context,” the commission wrote in its resolution. 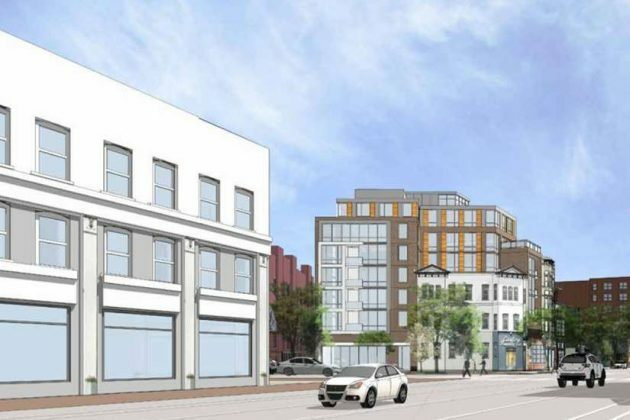 Recommended changes include redesigning the building to include different materials, making the windows on the east elevation smaller and moving the penthouse west so it doesn’t appear as large from P Street. CAS Riegler is slated to present its plans to the Historic Preservation Review Board later this month or early next month. 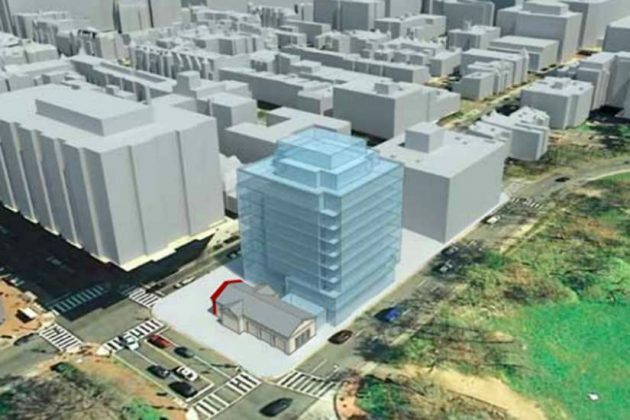 A huge mixed-use development could rise from the site of a historic landmark in Dupont Circle. 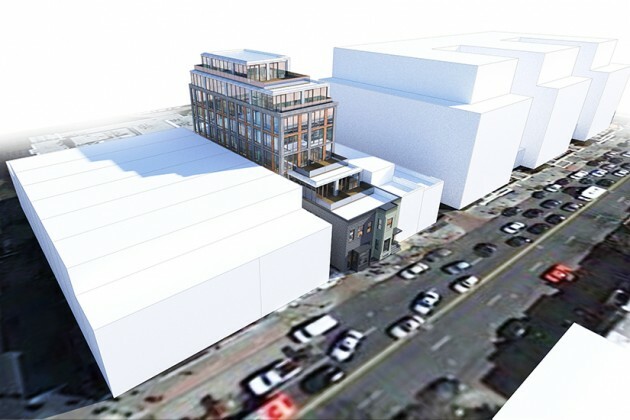 Developer Marx Realty seeks to redevelop a lot at 2200 P St. NW in order to build a new nine-story mixed-use development, according to plans shared with Borderstan today. The lot currently holds a Sunoco gas station that has a historic limestone building known as the Embassy Gulf Service Station. As first reported by UrbanTurf, the developer looks to move the historic landmark to make way for its 34-unit development. The historic building would be restored and turned into a space for retail, the plans show. The development would also include two stories of underground parking. The proposed development is comprised of approximately 59,000 gross square feet above grade with approximately 20,000 gross square feet of below grade parking. The program includes approximately 56,000 sf of residential equating to approximately 34 units and 3,000 sf of retail space. The site is currently developed with a one-story, neoclassical gas station built of limestone and completed in 1936 for the Gulf Oil Corporation. It is listed on the National Register of Historic Places and is a contributing structure to the Dupont Circle Historic District. The applicant proposes to relocate the structure on the site and build an attached nine-story residential building. The gas station interior will be renovated for retail use and the exterior, which is largely intact, will be restored. The site will be remediated and underground storage tanks will be removed. 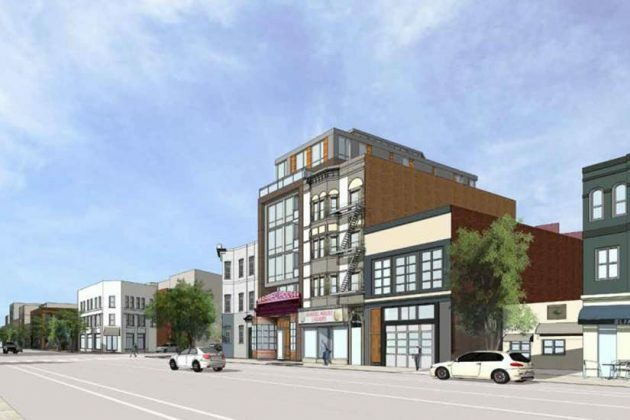 A planned eight-story building on U Street could come with a handful of benefits for residents thanks to a deal between local leaders and a D.C.-area developer. 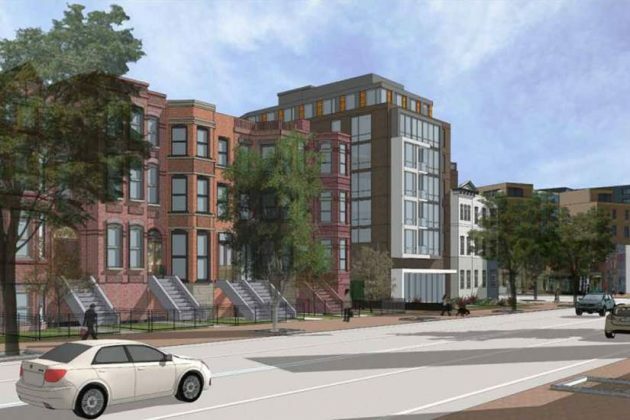 ANC 1B, which covers parts of U Street, Shaw, Columbia Heights and LeDroit Park, voted last Thursday to support several zoning variances for a forthcoming mixed-use development at 1355-­1357 U Street NW. 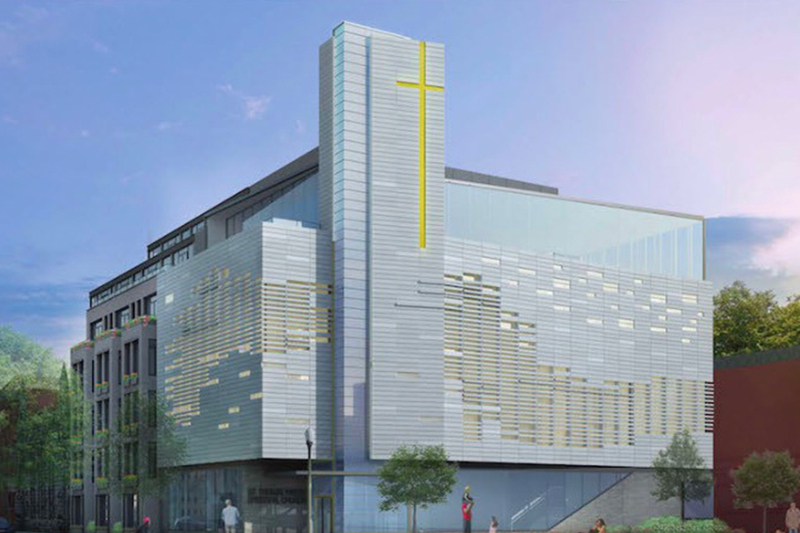 The Goldstar Group, the developer behind the forthcoming building, sought the ANC’s blessing ahead of its Sept. 27 hearing with D.C.’s Board of Zoning Adjustment (BZA). Goldstar is seeking variances from public open space, rear yard, open court and off-street parking requirements. 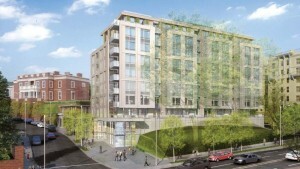 In exchange for the ANC’s support, the developer agreed to contribute $20,000 to the Housing Production Trust Fund and provide two affordable housing units, a “large bike room” on the property, Capital Bikeshare memberships to all residents regardless of when they move in and designate a parking space for use by Zipcar or another car-sharing service. Despite the deal, one of the ANC’s commissioners, Brian Footer, questioned whether the agreed-upon $20,000 contribution was just an “arbitrary number.” Footer — who was careful to point out he was “passionate, not frustrated” with the deal — said that he felt like the contribution would be a drop in the bucket compared with the $82 million that Mayor Bowser allocated to the program earlier this year. The ANC then gave the developer’s variance request its stamp of approval by a vote of 8-1. Poll: Is ‘North End Shaw’ a Valid Neighborhood Name? (Updated at 12:29 p.m.) Have you heard the news? Shaw isn’t just Shaw anymore. But what is North End Shaw, anyway — besides a hashtag and an unused Twitter account? Much like its ever-growing older brother Shaw, the area seems to have loosely defined edges. So, let’s put it up to a vote. What do you think? Is “North End Shaw” a valid neighborhood name? Do you think it should be called something else? Weigh in by voting in the poll and telling us what you think in the comments. 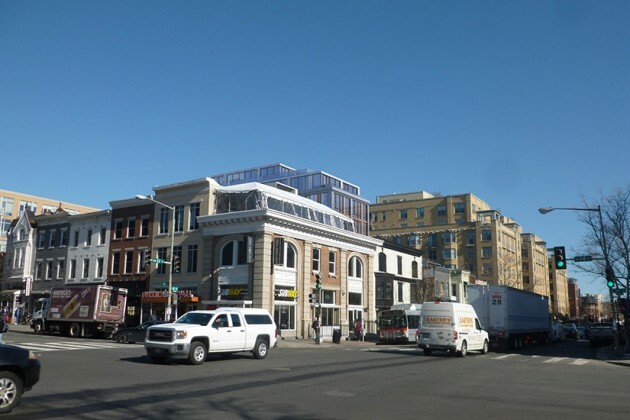 A group of Adams Morgan condominium owners aren’t happy about the construction of a 40-unit residential building that could obstruct their rooftop views of the District. 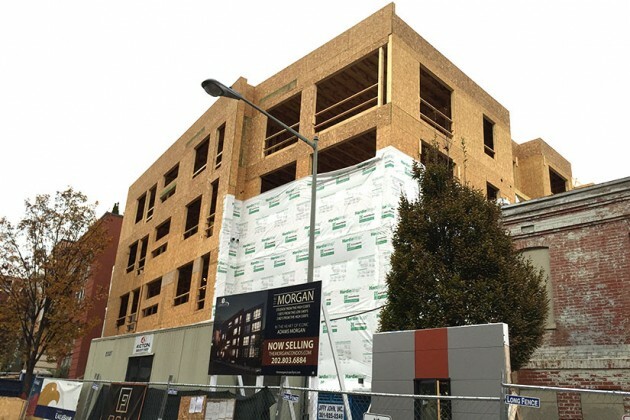 The Unit Owners’ Association of The Erie Condominium at 2351 Champlain St. NW are contesting the height of penthouses under construction at The Morgan, which neighbors the condo building. 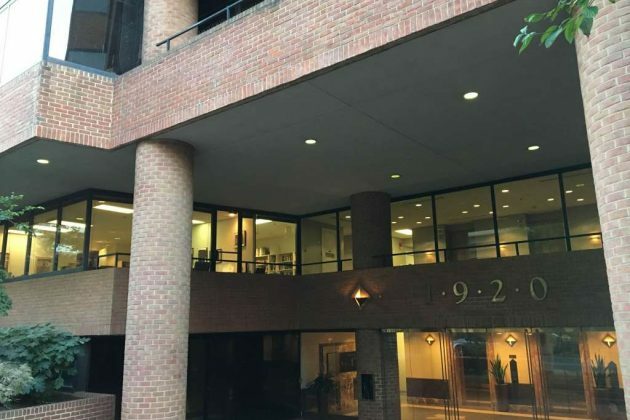 In an appeal to the D.C. Board of Zoning Adjustment made public yesterday, the condo owners said the penthouses are slated to reach a height greater than 9 feet, contradicting what they saw in zoning filings for The Morgan. A representative of The Morgan wasn’t immediately available to comment. The Board of Zoning Adjustment is expected to rule on the appeal in the coming months. 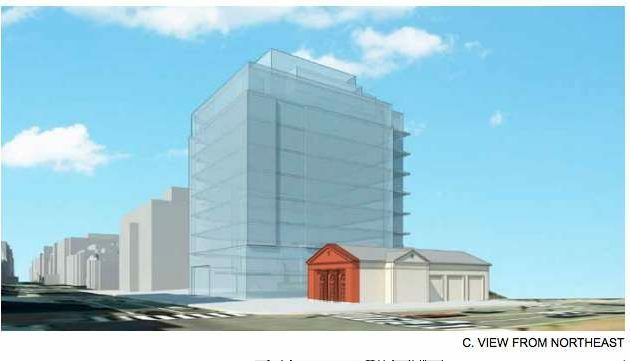 Dupont Circle residents will have another opportunity to discuss the planned St. Thomas Church development. Locals can speak their mind at an upcoming public input meeting in the west wing room of the Embassy Row Hotel (2015 Massachusetts Ave. NW) this Wednesday at 7:30 p.m. During the meeting, attendees will be able to discuss concerns and items for future consideration with the ANC’s zoning, preservation and development committee members in small groups. 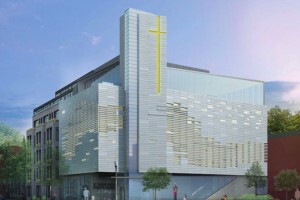 As it stands, the project calls for the construction of a new church and a seven-story housing building. 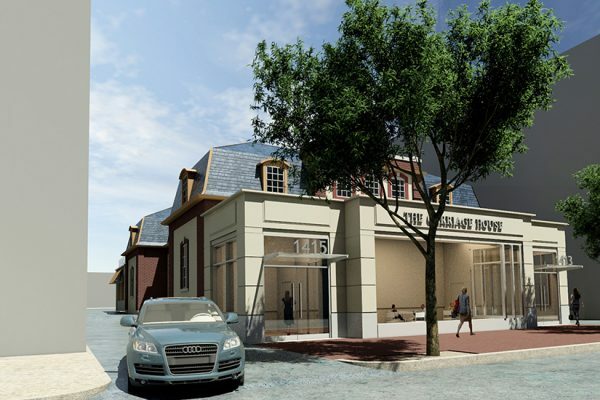 Though neighbors and developers have clashed over the proposed height of the development — among other things — the Historic Preservation Review Board voted to approve the project voted 4 to 1 to approve the project in July. Last month, Washington Business Journal reported that the project “advanced to a critical review stage” when the developer applied to obtain a single zoning variance for the project. (Updated at 8:22 p.m.) An ANC commissioner has joined a chorus of voices questioning the actions of an embattled local developer. 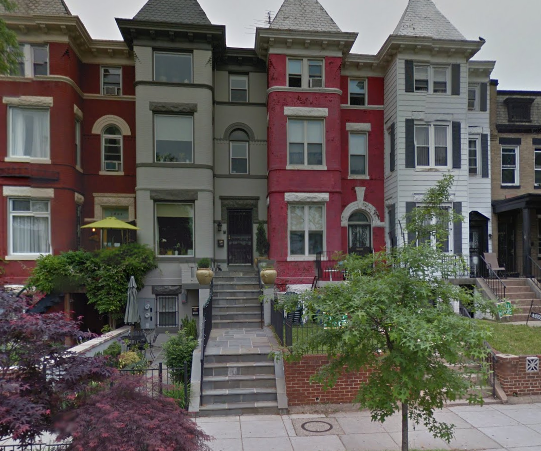 Developer Jay Gross is currently involved in a nasty fight with Petworth residents, reports WAMU, over what Gross says is a conspiracy to keep him from renovating three rowhouses located on Grant Circle. The fight has already prompted several heated exchanges between residents and the developer, and recently culminated into a $25 million lawsuit filed by the developer. Now, Gross may soon have to fight a war on a different front. Gross has of late drawn the ire of Commissioner Patrick Flynn, who serves on Columbia Heights ANC 1A. 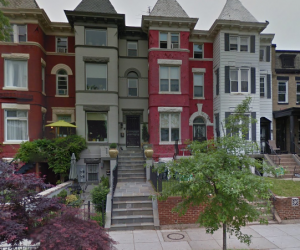 Flynn says his problem with Gross started when he tried in June to obtain a copy of the developer’s plans to renovate two homes on Kenyon Street NW on concerns that the property’s maximum lot occupancy requirements would not be adhered to. “Without knowledge of [the] lawsuit I recently asked Mr. 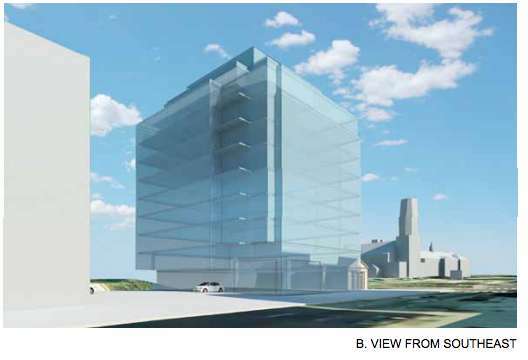 Gross for a copy of his plans to redevelop ,” Flynn wrote to Borderstan in an e-mail. Though Gross responded to Flynn’s request, he did not include a copy of his plans. Instead, Gross attached a scanned building permit and asked a question of his own. “Would you mind telling me why the ANC is interested in the lot occupancy for this project since it’s not an issue you all are usually involved with?” asked Gross. Flynn said he will look at the plans even if it means finding the time as an unpaid elected official to obtain them in person. Flynn continued: “Private property is a sacred and constitutional right, and I understand that. But I also know I was doing my part in protecting the public trust against illegal construction. “If the developer doesn’t answer and the city doesn’t answer, who is watching out for us?” said Flynn. Both the DCRA and Jay Gross were contacted by e-mail shortly before this story was published. DCRA spokesperson Matt Orlins told Borderstan by phone that, although he had no comment on the matter, he would look into the case for Flynn. A new online petition being put forth by a group of Meridian Hill residents is urging the Historic Preservation Review Board (HPRB) to reject a proposed development planned by the Meridian International Center. 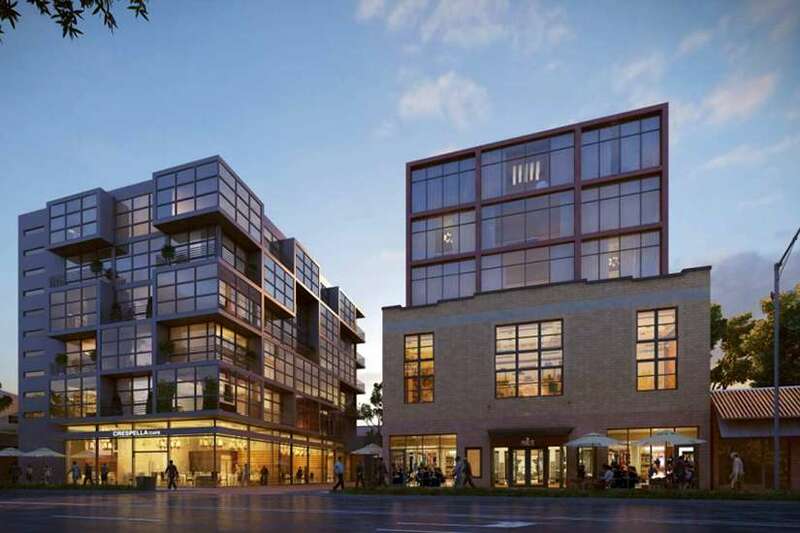 The proposed development, as outlined in an HPRB report from April, would be composed of a nine-story apartment building at 1624 Crescent Place NW. The building would also include conference and office space for Meridian International Center employees. One of the residents’ chief concerns is that the proposed building would loom over the neighborhood. “Our hope is that they will decrease the size,” says Carl Schmid, Meridian Hill resident and co-organizer of the petition. Other concerns include the loss of greenery at the proposed construction site and a design clash with nearby historic buildings. Some residents have already weighed in on the online petition form. “The proposed building would degrade the environment in terms of traffic, air-pollution, green space, crowding, parking and safety,” wrote Jaroslav Stetkevych, a homeowner and senior citizen living in the neighborhood. Signatures and comments will be accepted until July 16. Meridian Hill residents will present their concerns to the HPRB during its July 23 hearing.